This is the Miskin Law Blog. 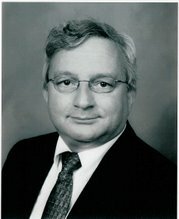 It is the blog of Murray H Miskin, a lawyer, arbitrator and mediator based in Peterborough, Ontario, Canada. The opinions expressed are personal ones and are not legal advice. It is a place for us to chat about the issues of the day and legal, political and environmental matters. You are encouraged to add a comment on any of our topics. It is not necessary to agree but be polite. The provincial election of Wednesday October 10 means life, as it has been, in Ontario will not change much or at least that is what people are hoping. Life in Ontario has been good particularly in the last four years. Ontario residents re-elected most incumbent members of the Provincial Government, giving the Liberal Government of Dalton McGuinty another majority government so he can continue the process begun at the beginning of his last term to improve public schools and health care in the province. We can expect slow but steady progress and not much excitement. The existing electoral system will remain in place with a proportional representation plan soundly defeated by voters who were mainly just rejecting changes to the status quo which is not an unpleasant one. It was more a rejection of change and John Tory's religious school plan than a vote of confidence in the Premier. John Tory seemed to be born to govern Ontario but he will always be remembered for his fatal errors of this campaign (and Kim Campbell's campaign years ago). Now the McGuinty Liberals have another mandate without having to make too many promises that may or may not be kept. We have already been rewarded with the declaration of a new statutory holiday in February (the third Monday, the first one being Feb 18, 2008). That is a change most people will appreciate when February arrives. Hopefully, Ontario will do well over the next four years as it has over the past four years. With our country's shift to a western resource based economy continuing and bringing with it the high dollar our province is threatened with major job losses. We will do well if our stable Ontario government is able to maintain the Ontario economy by taking steps needed to allow this province to remain competitive in world markets. Good luck Dalton.